Don’t miss #Introbiz’ Italian BBQ Networking Event of the year at Gio’s Restaurant in Cardiff followed by a Cocktail Afterparty at 29 Park Place. Tickets are now on sale and are just £10. Wales’ Biggest Business Expo – Introbiz Expo 2016 is almost sold out! There is now only 2 weeks to go TODAY, until Wales’ biggest business expo, with over 7,000 people registered to attend. The Introbiz Expo at the Motorpoint Arena, Cardiff on the 9th November is almost sold out. We only have a few stands available to exhibit, so this is your last chance to reserve your stand! Don’t miss this fantastic opportunity to exhibit with us from only £600, please book now! For the latest floor plan please click here. Check out our latest promo video for the Introbiz Expo and see all the amazing things we have lined up for you! Click here to view the Introbiz Expo video! 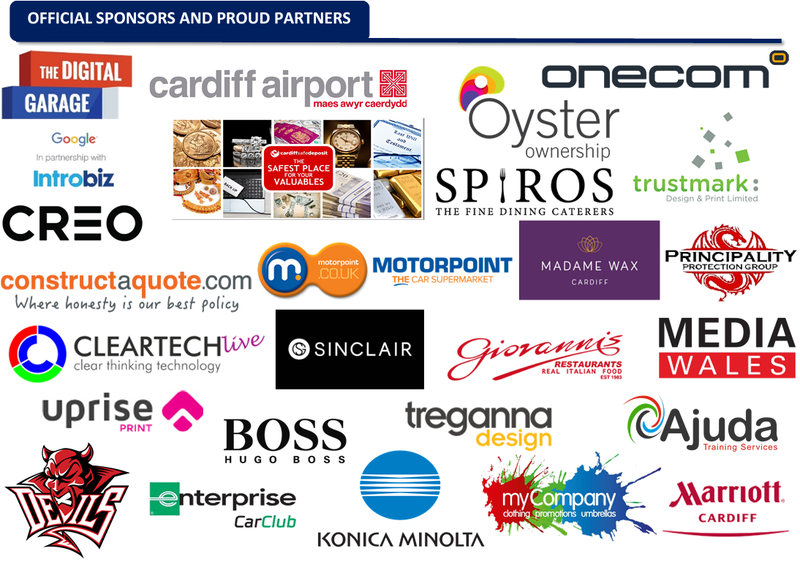 Come and join us for a record breaking networking breakfast at the Introbiz Expo this year on Wednesday, 9th November. We are happy to announce that Enterprise Car Club are the official sponsors of the networking breakfast and Sharon Lechter, bestselling author of ‘Rich Dad, Poor Dad’, will be opening the Expo. Opening bright and early at 7am, this is the best way to kickstart the Expo as it’s a chance to network with the keynote speakers, sponsors and exhibitors before the Expo is officially opened. Breakfast is provided by Spiros Caterers so you can enjoy a delicious breakfast or a flaky pastry with tea and coffee. Tickets for the breakfast cost £15 per person, and you can book your tickets by clicking here. Join the VIPs, sponsors and worldclass speakers for a networking lunch at the Introbiz Expo this year! Starting at 1:15pm, this exclusive one hour event will take place in the VIP marquee! This area is fully furnished with a red carpet entrance, Soul Lotta Funk will be performing during the event and Spiros caterers will be providing the food. By attending this event, it gives you a chance to network with the VIPs, speakers and sponsors. 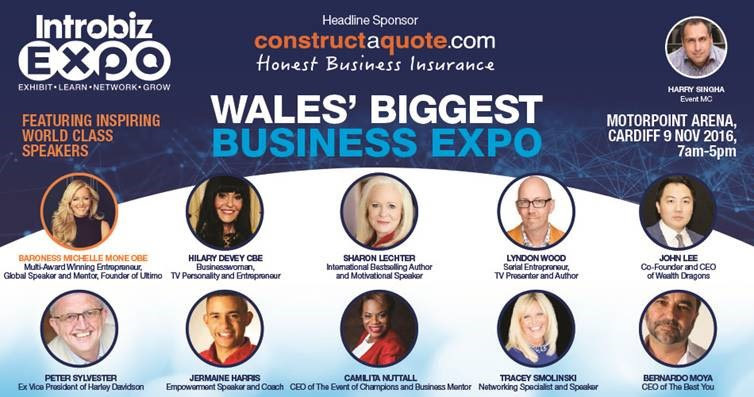 Sponsors of the Introbiz Expo will receive free entry to this event. Tickets are from £79+VAT! and you can book by clicking here. We are delighted to annouce that we have SOLD OUT! Congratulations to everyone who managed to grab tickets to this exclusive VIP event, it’s going to be a fantastic night! If you would like to be added to our reserve list call the Introbiz team on 02920 291002 or email info@introbiz.co.uk. If you would like to exhibit or book any tickets for the Introbiz Expo call the Introbiz team on 02920 291002 or email info@introbiz.co.uk.